The L Place has become one of the most rapidly-changing F&B towers in the Central district. Last year, the once-popular Hong-Kong-style restaurant Cantopop was replaced by the pasta place Linguin-fini, and now the short-lived Japanese restaurant above is taken over by another restaurant by Shore. 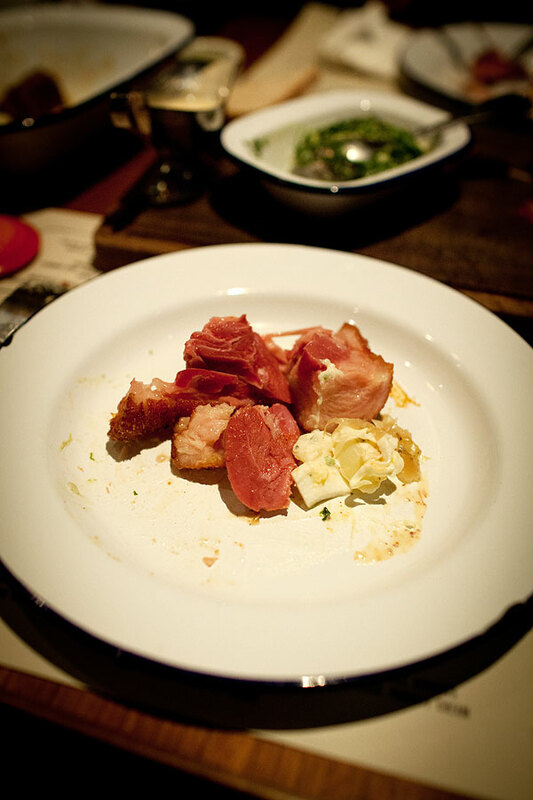 The new Salted Pig will surely provide some fresh dishes, which are pork as its name suggests. I don't recall any place here in the town thatdhas specializes in pork, and so I immediately dash to the Salted Pig when its name appeared on a magazine. I love what I see in this place: things are modern and not so formal; not too dark nor overly polished. We sit down and we immediately get a beer instead of water. That fits the place better! 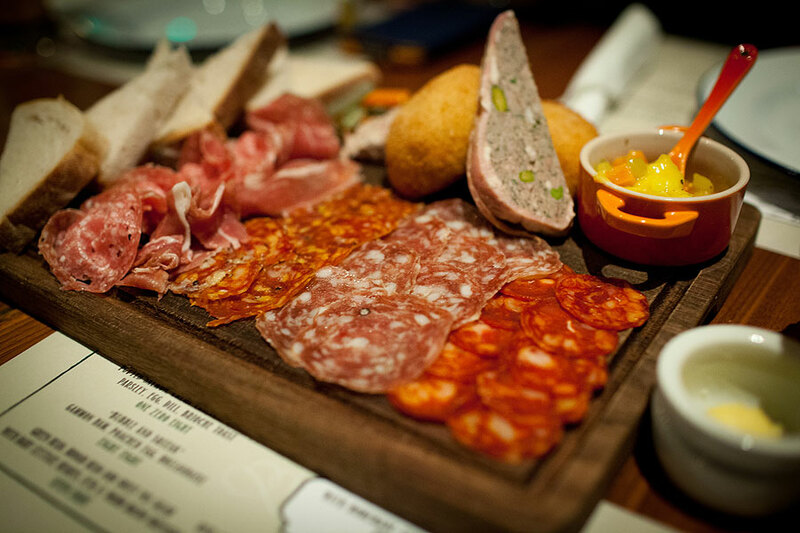 The Pre Appetizer Charcuterie Platter is a good one to begin with. Every piece of cold cut is not too salty but nicely seasoned. 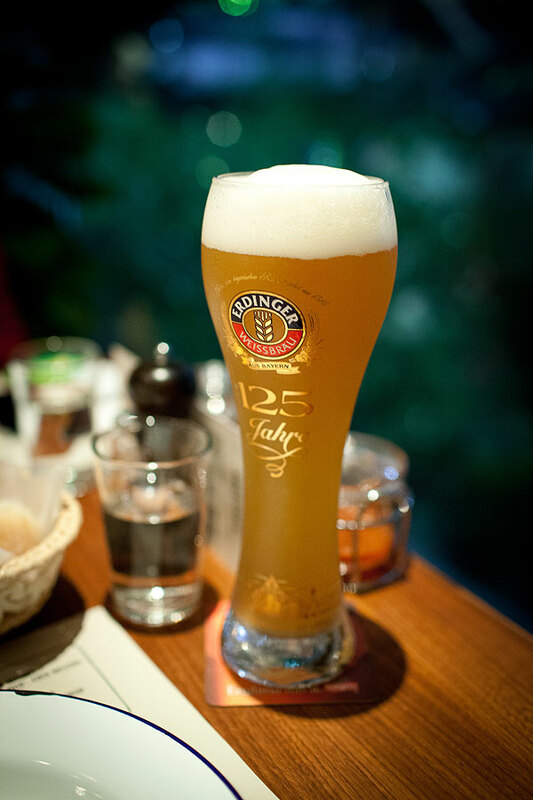 They go well too with the slices of bread. 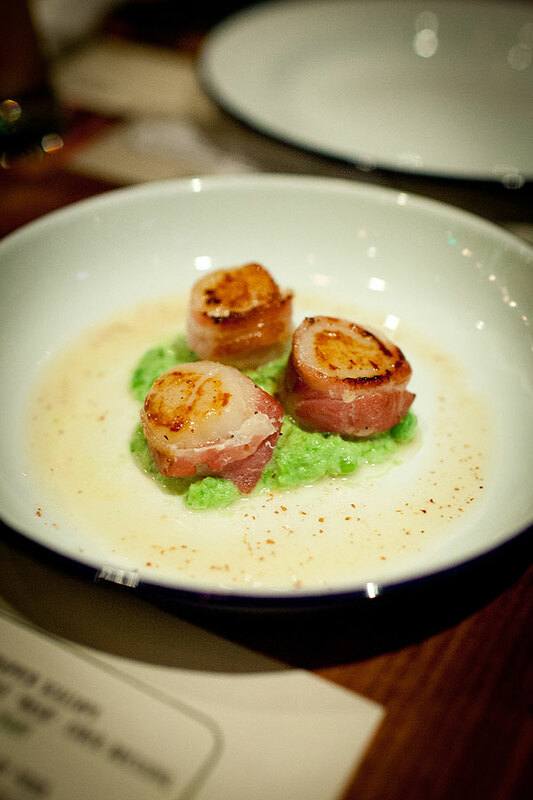 The Bacon-wrapped Scallops is an interesting introduction to any pork mains. It is not particularly surprising but more than enough to pass. 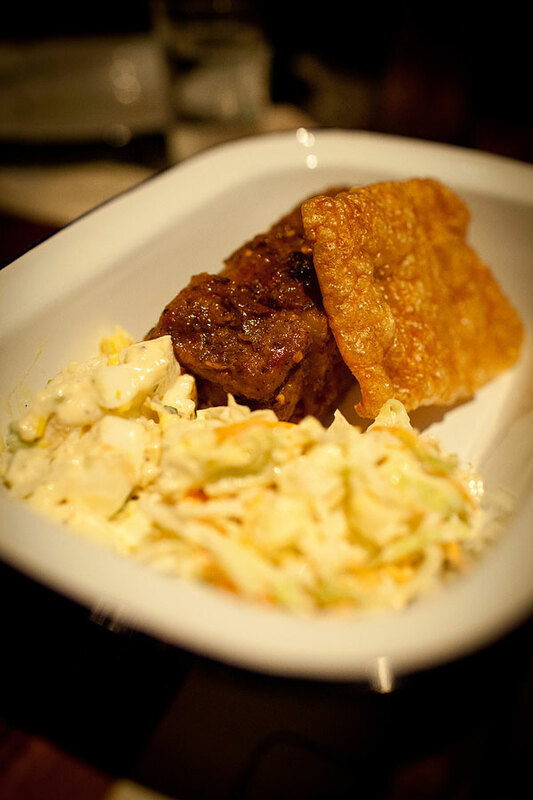 Our first main is the Rub n Tickle Belly with Potato Salad, Slaw, Vinegar Sauce, which is an amazing dish. 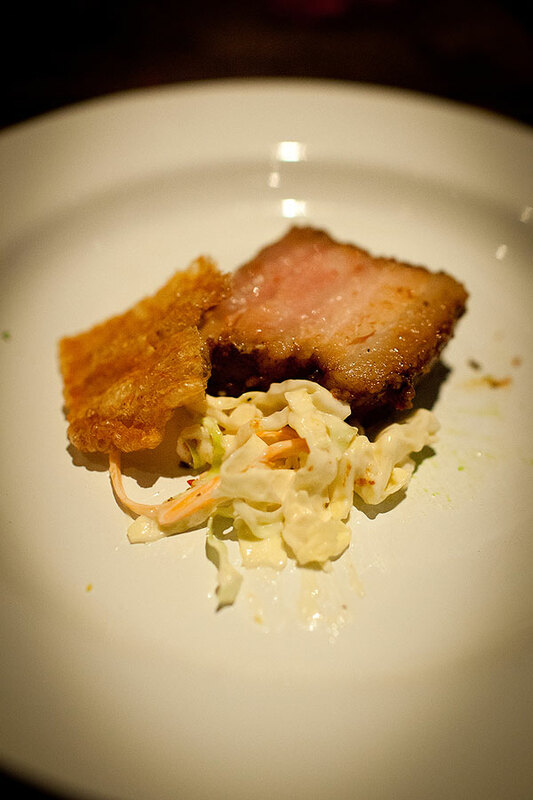 I thought that pork belly was a Chinese-only dish because I never tried any western one, and this piece of meat just fills me with awe. 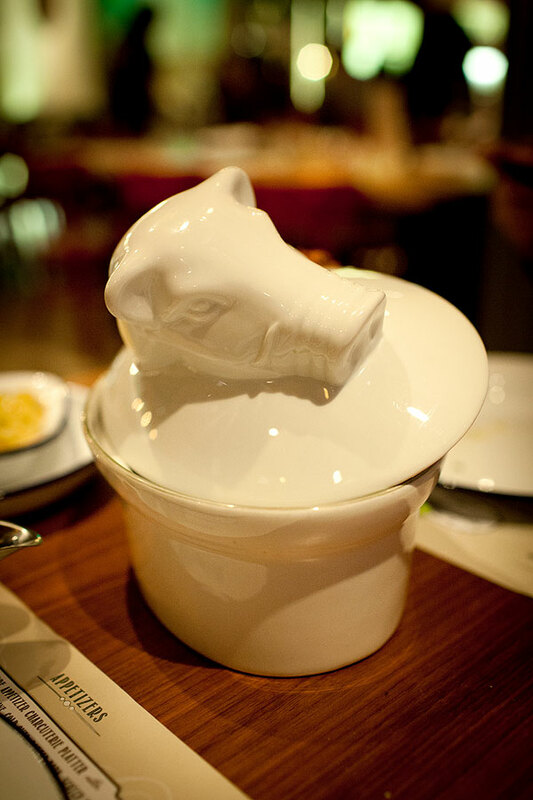 The Crispy Pork Knuckle with Sauerkraut, Carrots, Potatoes and Mustard quickly follows as our second main, and it comes in a funny looking pig-headed pot. The pot is purely for display, because once we nod at the waiter when he presents it on our table, he then takes it away and pull the meat out and divide it on the wooden board. 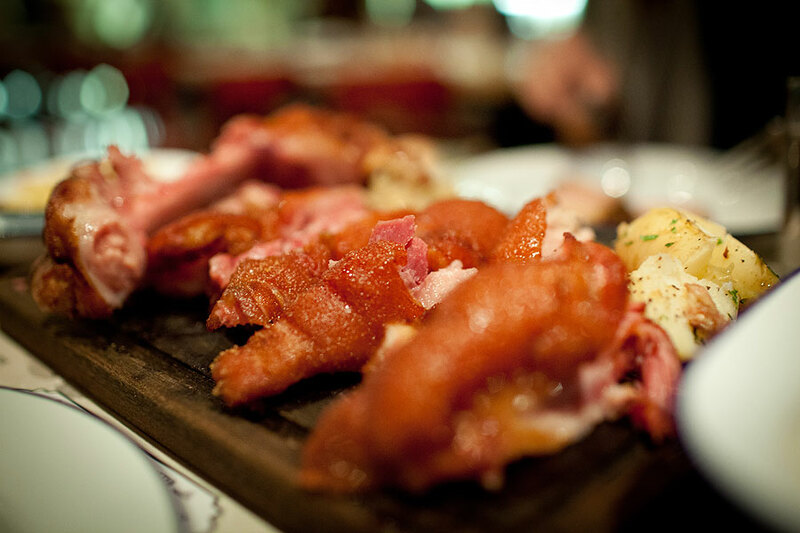 The knuckle meat is amazing, with crispy skin and chewy tender parts. I cannot find thick fat layers here, making this less heavy than it looks. 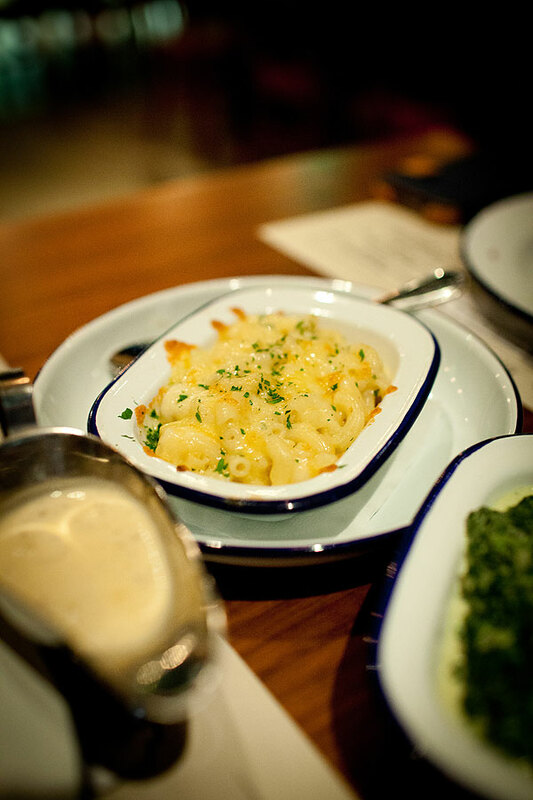 We have two sides too, the Cream Spinach and the Classic Mac n' Cheese. The latter one is actually macaroni with cheese. 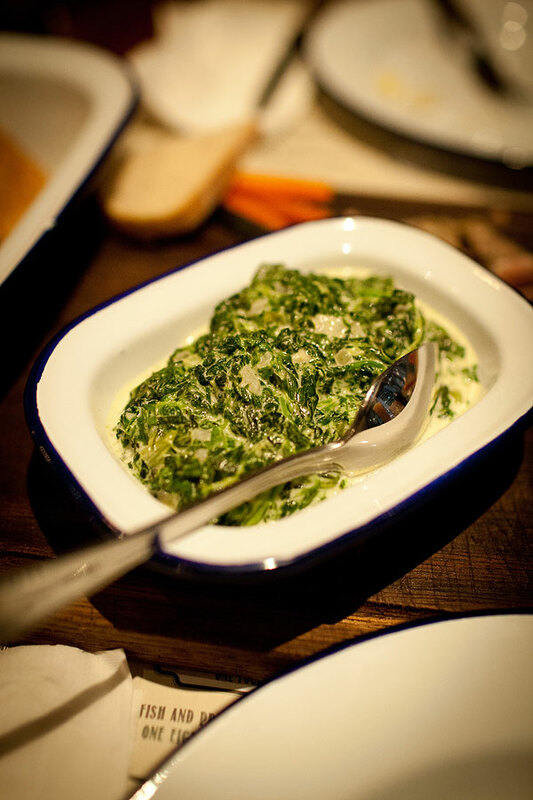 The spinach is no doubt a good vegetable side without overpowering the knuckle dish, but the macaroni is quite thick and filling, and I would advise two vegetable sides instead. 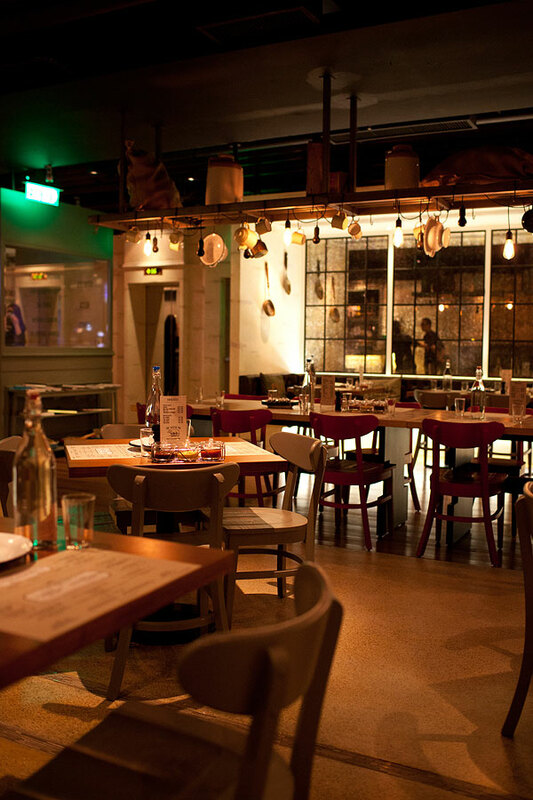 The Salted Pig provides pretty generous dishes, encouraging people to share. Nothing too fancy, as everything is down-to-earth. It is all in the quality. Services are great as well, as we can all the needed attention from time to time. This is definitely a place worth visiting again, for both pork lovers and general food hunters.